Musculus X Review - (Learn the truth) Does It Really Work? Should you buy Musculus X? Musculus X is an “all-natural” male enhancement formula that can help increase muscle buildup. The company claims this supplement uses high-quality natural ingredients, and that it’s free from any artificial substances or fillers. This product is made in the US. The company has only provided limited information regarding the ingredients. The significant ingredient here is L-arginine Alpha-Ketoglutarate. This is an amino acid that can increase the production of nitric oxide in the body. It also helps to improve blood circulation. This can create an increase in bone strength and recovery. It is also said to be helpful in burning fat and building lean muscles. The company claims this supplement uses a variety of testosterone boosters, but none of these ingredients are listed. The company emphasizes this supplement’s ability to boost the energy levels. Musculus X has received plenty of positive reviews, and according to a variety of these reviews, this is an accurate claim. The company claims this supplement can also enhance your sexual health. 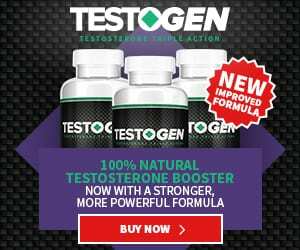 The alleged testosterone boosters have not been listed or revealed, so these benefits are questionable and not confirmed. While we are not sure it will be as effective as advertised, we believe you can use this product if your primary goal is to increase your energy. This should improve your workout productivity. Regardless, there are plenty of similar supplements on the market. Make sure the product you choose has been clinically tested.